It has just been announced that Eir Aoi will be part of the “Kill la Kill” special event at Anime Expo 2014 in Los Angeles, California from July 3-6. This special “Kill la Kill” event will take place for one night only on Friday, July 4th and feature a star-studded line up that will include a special talk session with all the guests, an exclusive screening of the of “Kill la Kill”, and a special concert by Eir Aoi, who sings the opening theme song. Eir will also be participating in panels, autograph sessions, and special events throughout the weekend of Anime Expo 2014. This is a once in a lifetime opportunity to be a part of one of the biggest events in history! Tickets for the “Kill la Kill” event go on sale starting today for Premier Fans and starting on May 15th for the general public. *The ticket also includes a glow stick called “FreFlow®” that interacts simultaneously to music and staging effects, which will be used for the first time in the US! 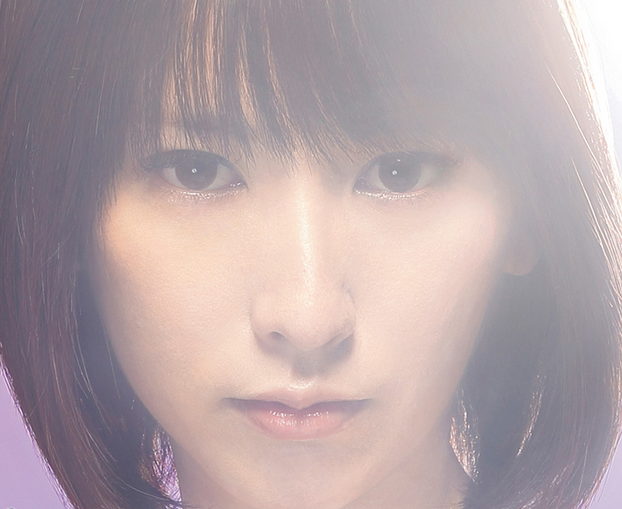 Singing has been Eir Aoi’s passion all her life; she fronted a band she formed in high school. Although she once gave up pursuing music as a career after high school, she resumed singing as a hobby and drew attention with her singing skills, as well as the beauty, the forcefulness and the stretch of her voice – which all led to her “print debut” on Lis Ani! Vol. 5 (Sony Magazines) in April 2011. Later that year, she made her real debut on October 19 with “Memoria”, the ending theme of TV anime Fate/Zero, which debuted at #8 on the Oricon single chart and sold close to 60,000 copies. April 2012 saw the release of album Prayer, a tribute to Fate/Zero, in which she proved her much-talked-about singing skills. The album debuted at #12 on the Oricon chart. In May, she performed her “first” concert as well as showcased her voice at “Animelo Summer Live 2012: INFINITY∞” in front of the audience of 30,000 at the Saitama Super Arena. In September, she released second single “Aurora” (opening theme of TV anime Mobile Suit Gundam AGE: Third Generation series) and performed her first single-bill show at Duo Music Exchange in Tokyo on September 22, showcasing her commanding voice in front of 600 fans. She went on to release third single “Innocence” (opening theme of TV anime Sword Art Online: Fairy Dance series) in November, which debuted at #6 on the Oricon single chart – her career high, followed by two successful single-bill concerts in December, in Tokyo’s Liquid Room and Osaka’s Ruido, respectively. Eir opened the year 2013 with the release of her much-anticipated first full-length album BLAU on January 30, which debuted at #4 on the Oricon album chart and was distributed online in 20 countries. The BLAU Tour 2013 in support of the album kicked off in February and culminated in a huge success, with immediately sold-out shows at Quattro in Osaka, Colony in Sapporo, and Blitz in Tokyo. She released single “Cobalt Sky” (opening theme of the month on TBS Network’s CDTV in July) on June 26, and is now releasing another single entitled “Sirius” (opening theme of TV anime Kill La Kill) on November 13. Her first single-bill hall show is scheduled on October 28. On Saturday November 30th, which happened to be Eir’s birthday, she announced that her awaited second album “AUBE” will be released on January 29th. This album might become a true daybreak for her. It will also include a soundtrack “Sanbika” from the TV animation series “Kill la Kill”, which will be released in advance on December 1st. The latest album title is “AUBE”, which means “dawn” in French. This is a powerful album full with Eir’s spirit. It makes the listeners imagine a bright power in the clear air of the dawn, getting ready to face the beginning of a new day. In this latest album, you will experience Eir’s talent in full volume, along with her astonishing vocal skills. This is an album that music fans should not miss. Eir have just announced to sing TV anime series “Sword Art Online II” opening theme song starting from this summer. Eir is also expanding her sphere of activities outside Japan; she has performed in Sakura-Con in Seattle, USA as well as AnimagiC 2013 in Bonn, Germany last year. In Asia, she also performed in AFA (Anime Festival Asia) Indonesia and AFA Singapore last year. Her official Facebook page is “Liked” by over 300,000 people around the world, which shows the high degree of attention she attracts – she is a must-see, talented female vocalist who never fails to take the world by storm. For more information on “Kill la Kill”.